I studied Mathematics at Universitat Autònoma de Barcelona, obtaining my PhD in 1987 with a thesis about class groups of quadratic forms and arithmetic of elliptic curves. Since 1983 I’ve been working at Universitat Politècnica de Catalunya, initiating the Number Theory research group, that now has about a dozen of members. From 2009 to 2015 I have been serving as dean of the School of Mathematics and Statistics of UPC. Modular forms and modular symbols. Jordi Quer, Q-curves and abelian varieties of GL2-type, Proc. London Math. Soc. 81 (2000) no. 3, pp. 285-317. Eknath Ghate, Enrique González, Jordi Quer, On the Brauer class of modular endomorphism algebras, Int. Math. Res. Not. 12 (2005), pp. 701-723. Gabriel Cardona, Jordi Quer, Curves of genus 2 with group of automorphisms isomorphic to D8 or D12, Trans. Amer. Math. Soc. 359 (2007), no. 6, pp. 2831-2849. Jordi Quer, Fields of definition of building blocks, Math. Comp. 78 (2009) no. 265, pp. 537-554. 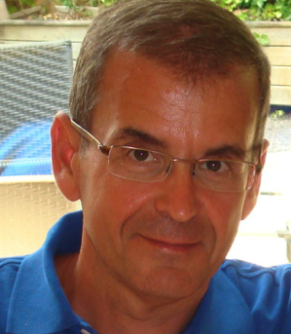 Xavier Guitart, Jordi Quer, Modular abelian varieties over number fields, Canadian J. of Math. 66 (2014) no. 1, pp. 170-196.